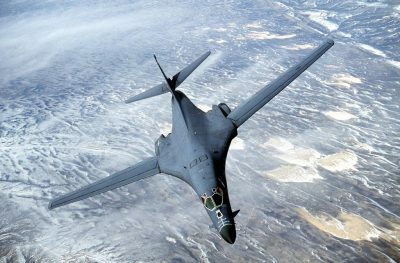 In a menacing move as leaders gathered at the G20 summit in Germany, the US Air Force flew two B1-B strategic bombers over the Korean Peninsula on Friday and unleashed inert bombs as part of a joint military exercise involving US and South Korean fighter aircraft. 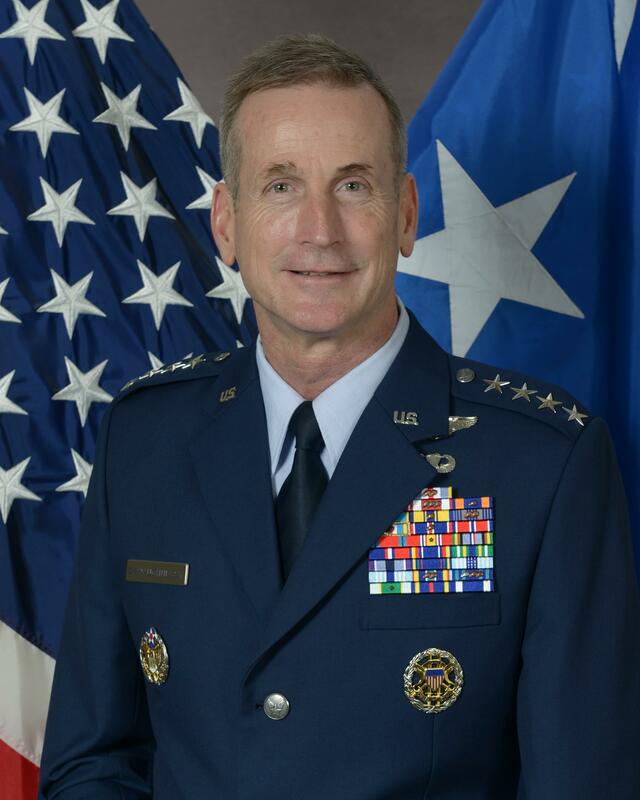 US Air Force commander in the Pacific, General Terrence O’Shaughnessy, branded North Korea as a threat to the US and its allies. “If called upon we are trained, equipped and ready to unleash the full lethal capability of our allied air forces,” he warned. The bombing practice follows massive joint US-South Korean war games earlier this year involving more than 300,000 personnel, along with warships, military aircraft and other sophisticated weaponry. On Wednesday, the South Korean and US militaries carried out missile drills aimed against North Korea. The Trump administration has exploited the test launch last Tuesday of what was claimed to be a North Korean intercontinental ballistic missile (ICBM) to ramp up tensions on the Korean Peninsula and put pressure on the G20, particularly China, to take tougher action against Pyongyang. The US efforts to put North Korea on the G20 agenda were effectively blocked by German Chancellor Angela Merkel. Backed by China and Russia, she insisted that the summit was concerned with economic matters. As well as the B1-B flights, the US has taken provocative steps in recent weeks, including a major arms sale to Taiwan, two “freedom of navigation operations” in the South China Sea, and sanctions on two Chinese companies over trade with North Korea. These moves are, in effect, threats of further action if Beijing does not carry out Washington’s bidding. Trump, who left the G20 meeting without giving a press conference, claimed in a tweet that he had just finished “an excellent meeting on trade and North Korea” with Xi. No details were provided, however. The reference to financing is significant. Mnuchin announced a ban on a Chinese bank just over a week ago for allegedly breaching US sanctions on North Korea. The Trump administration is demanding that all countries, particularly China, cut North Korea off from the global financial system and threatening secondary sanction against countries and companies that fail to do so. Trump’s upbeat tweet after meeting Xi is in marked contrast to previous remarks indicating that Trump had given up on China as the means for compelling North Korea to submit to US demands. Just last week, he issued another tweet alleging a 40 percent increase in trade between China and North Korea. “So much for China working with us—but we had to give it a try!” he declared. Xi’s comments following his meeting with Trump were low-key. According to the state-run Xinhua news agency, he told Trump China had already stated its position on North Korea multiple times. Before the G20 meeting, Xi with the support of Russian President Vladimir Putin, reiterated Beijing’s proposal that North Korea freeze its nuclear and missile tests if South Korea and the US halt their military exercises, opening the way for talks. Speaking to the media at the G20 meeting last Friday, US Secretary of State Rex Tillerson declared Washington was not interested in the Chinese and Russian proposal about freezing North Korea’s “very high level of capability.” Instead, he insisted, any talks with Pyongyang must be about charting a course “to cease and roll back” its nuclear program. Xi also repeated China’s opposition to the US deployment of a Terminal High Altitude Area Defence (THAAD) anti-ballistic missile battery in South Korea. While the THAAD installation is nominally directed against North Korea, its powerful X-band radar can look deep inside Chinese territory and undermines China’s ability to retaliate against a US nuclear attack. The bitter disagreements over the THAAD system highlight the fact that the US military build-up in Asia, on the pretext of the alleged threat posed by North Korea, is primarily aimed against China, which the US regards as the main obstacle to its supremacy in the Asia Pacific. Following the US lead, Japanese Prime Minister Shinzo Abe and Australian Prime Minister Malcolm Turnbull used their meetings with Xi at the G20 summit to press for tougher Chinese penalties against Pyongyang. The US has already foreshadowed a new UN Security Council resolution to block finance and oil for North Korea, among other sanctions. If crippling sanctions fail to bring the North Korean regime to heel, the US B1-B bomber flight is the latest reminder that “all options are on the table,” including pre-emptive military attacks.